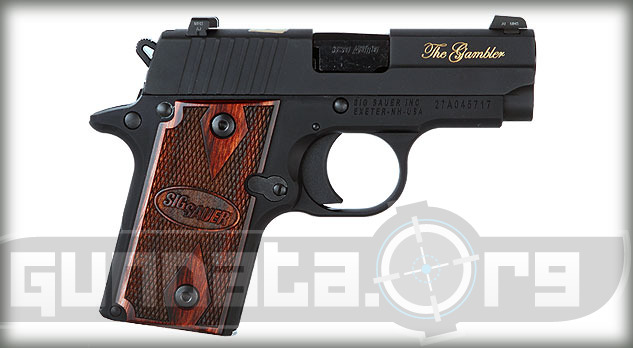 The Sig Sauer P238 Gambler is a beavertail small frame handgun. 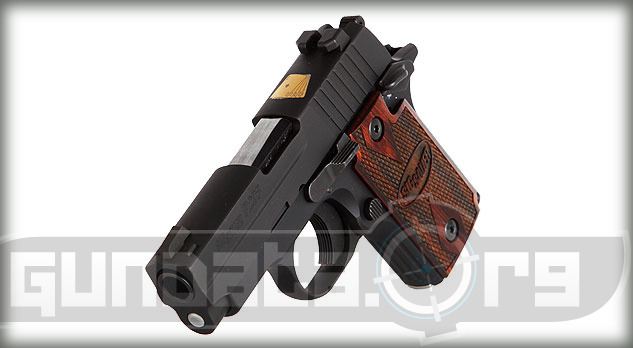 It is a sub-compact pistol designed for self-defense, conceal and carry purposes. It holds a 6-round magazine the fires .380 ACP (9mm short) ammunition, and separate extended clips can be purchased and used for it. The overall length is 5.5-inches, with a height of 4.46-inches, and the barrel extends out 2.7-inches. 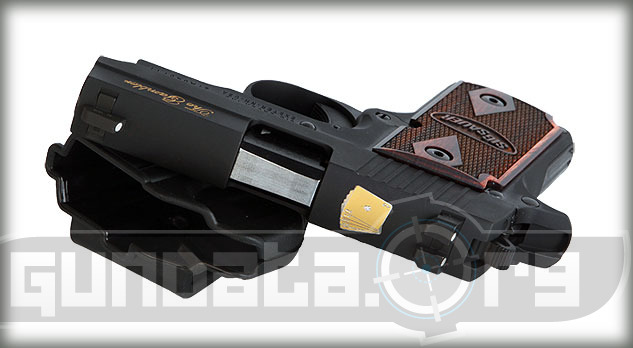 The P238 Gamble has an alloy frame, with a black hard coat anodize finish on it. The slide is stainless steel, with a Nitron finish. It features the "aces and eights" dead mans hand engraved in gold inlay on the top of the slide. The slide has serrations on the rear for easier grip during chamber loading. The grips are checkered with Rosewood, and safety features embedded into the frame. 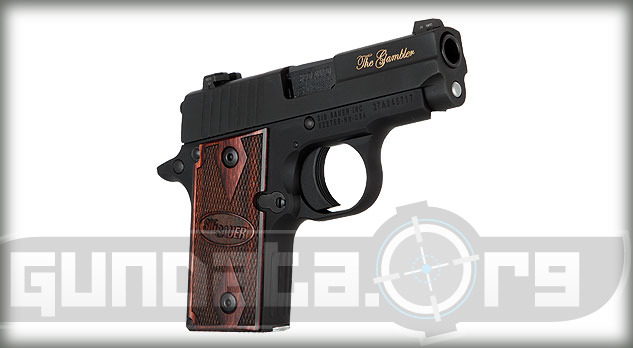 The trigger is a single action only (SAO) that has a 7.5-8.5 pound pull. The sights are the 3 white dot SigLite night sights.